Ms Clodagh French graduated from Cork University Dental School and Hospital, achieving a Diploma in Dental Hygiene with Honours in June 2013. She has an extensive background in the dental field, and I possess the knowledge, skills and competence to work within a dental team. She is a qualified Dental nurse with a Diploma in Dental Nursing from Trinity College, Dublin with distinction. She has gained valuable clinical experience as a Dental Hygienist during her training in Cork University Dental School and Hospital, treating patients on a daily basis. Dr. Gorman graduated with honours from Trinity college Dublin, and after further study was granted membership of the Royal College of Surgeons Edinburgh. Riona was a finalist in the sensodyne dentist of the year awards and received a highly commended award. 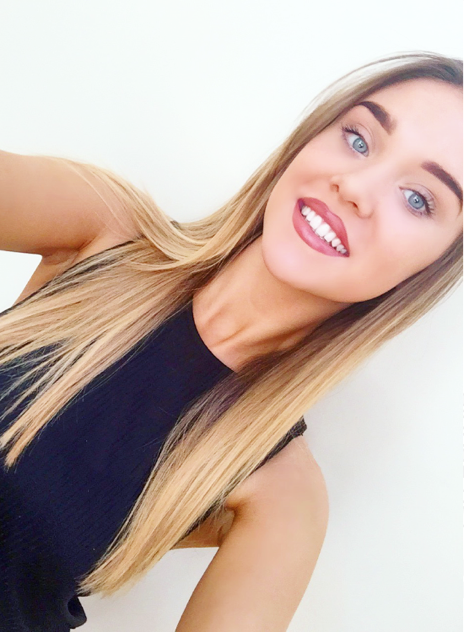 Riona has a keen interest in anterior aesthetics and is a member of the Irish Dental Association and the Irish Academy of Aesthetic Dentistry. She completed a years vocational training in a practice in Edinburgh before returning to Dublin to work for a number of years in private dentist practice expanding her knowledge and skills in all aspects of general dentistry with a special interest in veneers, crowns and bridgework. Dr Catherine Nestor is an experienced, welcoming general dentist. Having qualified as a general dentist from Trinity College, Dublin, Catherine moved to the UK to work as a dentist in a mixed NHS practice. She returned to Ireland in 2012 and has worked in private practice in Dublin since then. Catherine enjoys all aspects of dentistry and particular enjoys helping nervous patients feel at ease in the dental surgery. She is very approachable and has a keen interest in helping patients leave the surgery with a smile. Catherine studied in Harley street to be awarded a certificate for Aesthetics Practitioners. She is also interested on increasing patient’s awareness to periodontal disease. Catherine is a member of the Irish Dental Association, the Irish dental council and the Irish faculty of primary dental care. She is originally from Mayo. She enjoys running and pilates in her spare time. Dr Samborski worked in the Maxillo-Facial & Oral Surgery Department at Warsaw Medical University for 27 years. Employed with Masovian Centre of Dentistry as Specialist & Consultant in Oral Surgery, he now divides his time between kbm dental and his work Poland. Dr Samborski is on the Specialist Register for Oral Surgery in both Poland and in Ireland. He is highly experienced in the complex extraction of teeth and dental implants, and has been working in Ireland since 2010. Dr. Geraldine murry- Specialist BDS NUI, Cosmetic and Aesthetic Restorative Dentistry (Certificate), MSc (Endodontics) QMUL. Geraldine is committed to her Endodontics vocation and attends regular seminars all over Europe and further afield. She is a member of the European Society of Endodontology, British Endodontic Society and the Irish Endodontics Society. She has presented at the British Endodontics Society meetings for her Literature Review on “The use of vital pulp therapy in the treatment of teeth with signs and symptoms of irreversible pulpitis”, and on her Research Project titled “The use of case difficulty assessment forms in Endodontics”. She is currently in the process of publishing both articles in Endodontics Journals. Geraldine moved back to Dublin in 2016 where she Specialises in Endodontics.